The Hero Maestro Edge 125 is on track for its Indian launch by the festive season (October to November 2018), suggests a new press release from Hero MotoCorp. The Hero Maestro Edge 125 gets an optional front disc, semi-digital instrument cluster and Hero's Integrated Braking system. "Hero MotoCorp will soon launch two new 125cc scooters to provide more excitement during the upcoming festive season. With the peak festive season coming in the months of October and November this year, the Company expects to maintain the trajectory with healthy double-digit growth in the coming months." 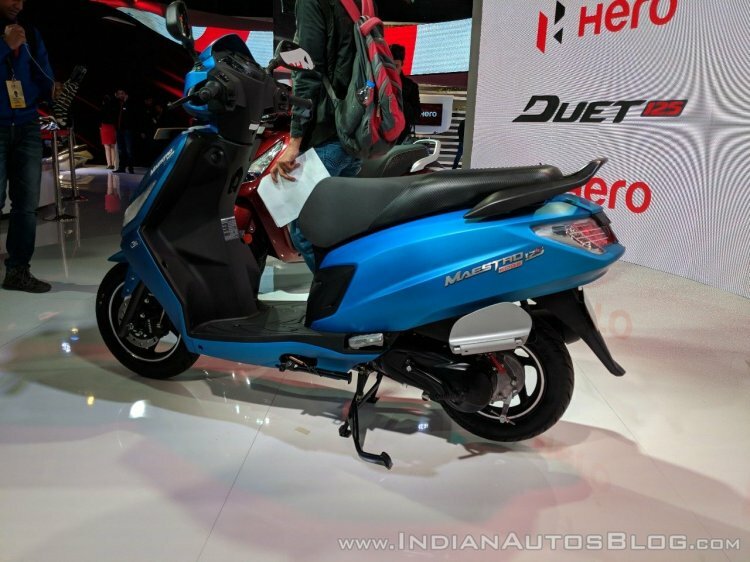 The Hero Maestro Edge 125 debuted at Auto Expo 2018 alongside the Hero Duet 125, which is now sold as the Hero Destini 125. The Maestro Edge 125 will rival the Honda Graxia, Aprilia SR 125, TVS Ntorq 125 and the Suzuki Burgman Street among others. The Maestro Edge 125 is a sporty scooter that is targeted at younger customers. It delivers higher fuel economy with the help of Hero’s patented i3S (Idle Stop-Start System) technology. The Hero Maestro Edge 125 comes with fibre, boot light, outer fuel-filler cap, and mobile charging port. The scooter features an Integrated Braking System, dual-tone mirrors, semi-digital instrument cluster with service due indicator and tubeless tires. Powering the Hero Maestro Edge 125 is a 124.6 cc, air-cooled, single-cylinder, Energy Boost engine that is tuned to pump out 8.70 bhp of maximum power at 6,750 rpm and a peak torque of 10.2 Nm at 5,000 rpm. A CVT works in harmony with the carburetted engine. The Hero Maestro Edge 125 gets stopping power from disc brake at the front and a 130 mm drum brake at the rear. It features telescopic forks up front and a spring-loaded hydraulic damper. The scooter rides on 10-inch alloy wheels that are paired with 90/100-section tubeless tyres at the front and back. The Maestro Edge 125 features telescopic forks up front and a 12-inch front alloy wheel for a comfortable ride. As far as dimensions are concerned, the Maestro Edge measures 1,809 mm in length, 729 mm in width and 1,154 mm in height, and it has a wheelbase of 1,245 mm. The Maestro Edge 125 has a 5.5-litre fuel tank, a kerb weight of 111.5 kg and a top speed of 85 km/h. 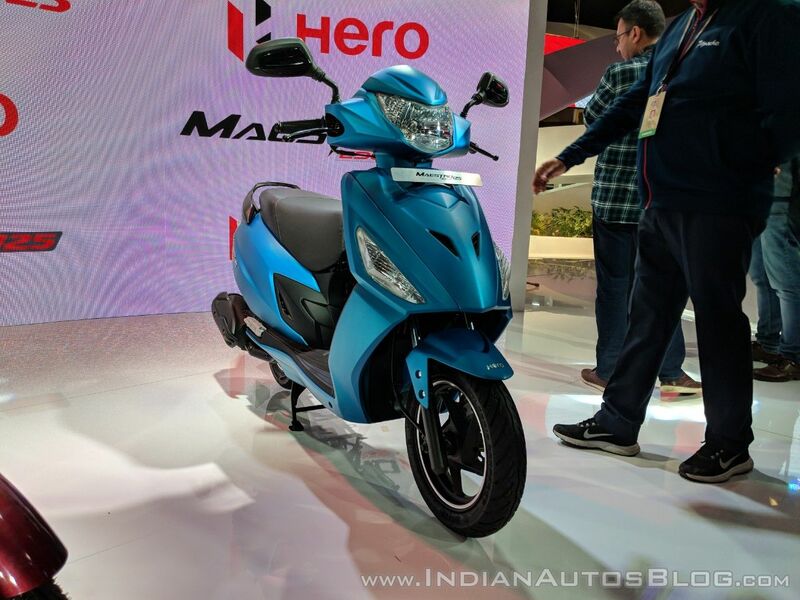 Upcoming scooters in 2019, Part 1 - Hero Maestro Edge 125, Aprilia Storm 125..